MillworkCAD is Designed for the Cabinetmaking Industry. MillworkCAD is the ideal tool for creating custom parts for the cabinetmaker or millwork shop. Custom shapes can be created very easy. 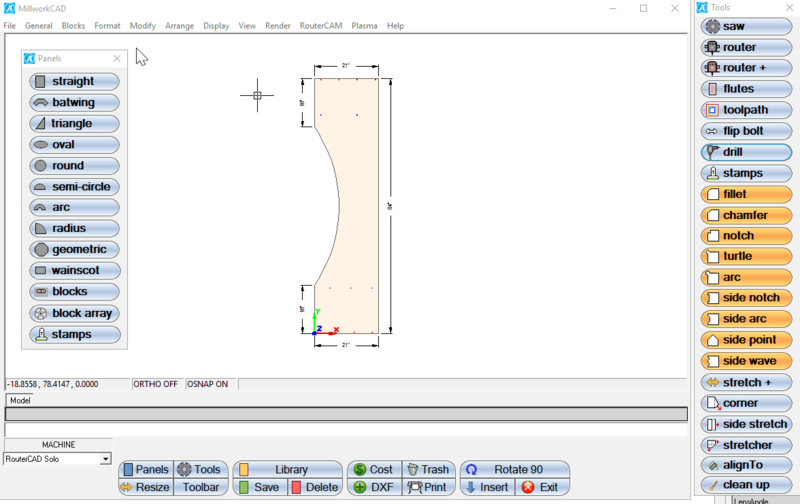 Round corners, chamfers, notches and arc among other shaping tools are all built-in to MillworkCAD. Custom lines bores, single holes, dados and routes are all part of the tools. Once the custom parts are created they can be sent directly to RouterCAM for g-code and nesting. Call or send an instant message (bottom-right corner of web page) if you have any questions.